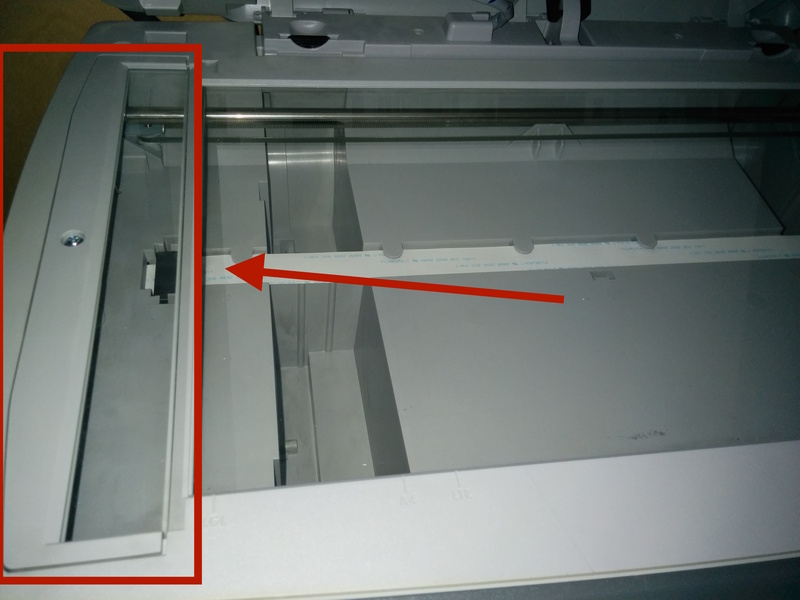 My trusty HP 3330 printer stopped working recently with a “scanner warmup” error displayed on the display. 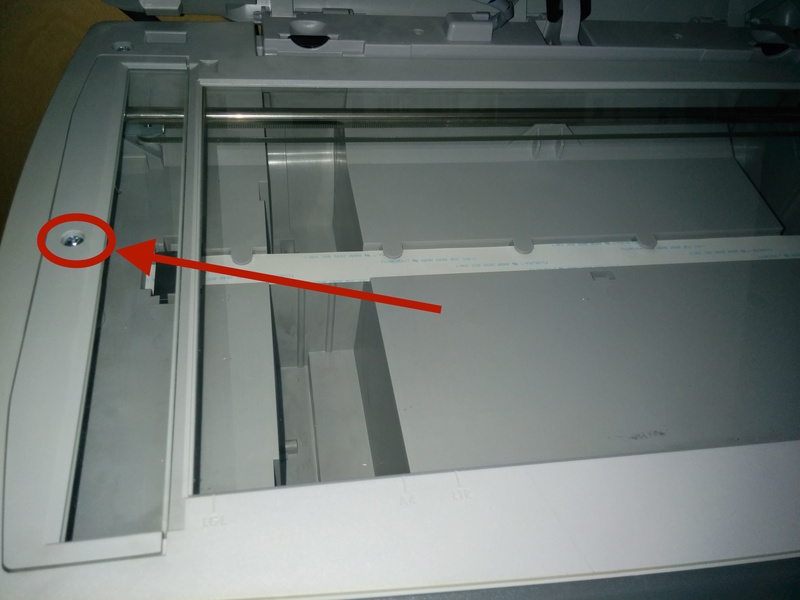 Prior to that, it literally worked flawlessly for years, so I was reluctant to simply go buy a replacement printer. 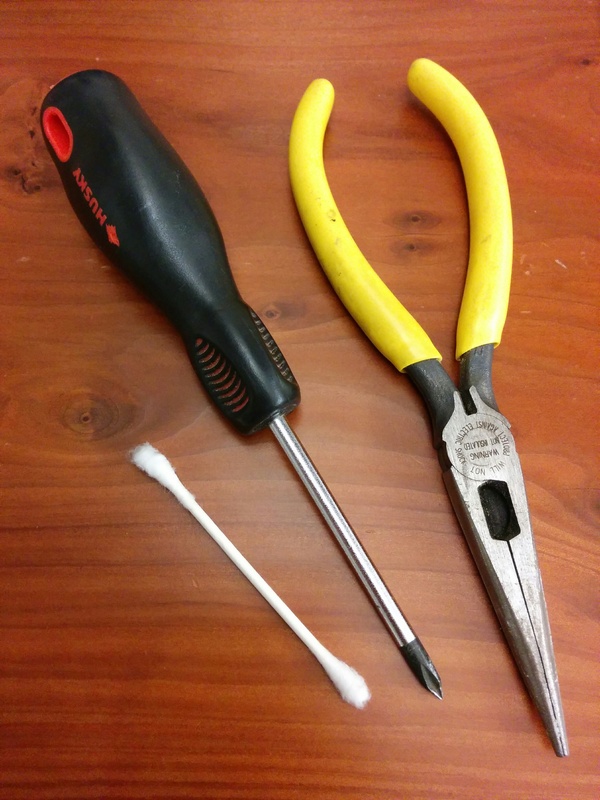 Once I figured out these steps, repairing the printer took me under 10 minutes, end-to-end, using only very simple low tech tools: a needlenose pliers, a philips screwdriver and a cotton bud. Unplug the printer. Yes, you do have to follow basic safety procedures, even if there will be no exposed electric wires to deal with. You don’t want to accidentally have the motor start moving parts around while you are trying to work on them. Plus you need to make sure the power is completely off at the bulb, so mirrors have cooled off completely before you get to them in later steps. Open the lid. While the lid is as vertical as possible, grip and pull up the two black tabs (in red circles). They should each come up about ~1/2 inch. Once these are both up, you should be able to grab the lid, pull it up and remove. Set aside. Use a Philips screwdriver to remove this one screw. Once the screw is removed, gently lift up at the side where the screw was. As you do, you’ll notice that the opposite side hinges up on the side nearest the main glass plate. After you lift up about an inch or so, you’ll notice you can gently lift/disconnect this small glass panel. Set aside. Notice that you can now reach a narrow rubber belt that is used to move the mirror assembly back and forth under the main glass platter. Use the needlenose pliers to grip the nearside (circled) part of the belt and pull it towards the pulley wheel. Be very gentle here, as this rubber belt is fragile. You’ll only be able to pull it about an inch or so before you run out of space, need to release the pliers grip, reposition the pliers, grip and pull the rubber belt another inch. Each time you do this, you pull the mirror assembly a little bit closer to the opening. Do another pull. And another. And another. Keep repeating until the mirror assembly is fully accessible through the opening. Use the cotton bud to gently clean the full length of each mirror surface. It doesn’t take much effort, and the mirrors are fragile, so be gentle. Simply place the cotton bud at one end of the mirror, and slide along the mirror to the other end. Think of it more like dusting fragile crystal glasses. There are three mirrors in all, and you should do all three while you are at this. Now that you are done, you need to reassemble everything. There is no need to use the pliers on the belt to move the mirrors back to the original starting position, the mirror will automatically go to the right “home” position once the printer is turned back on. 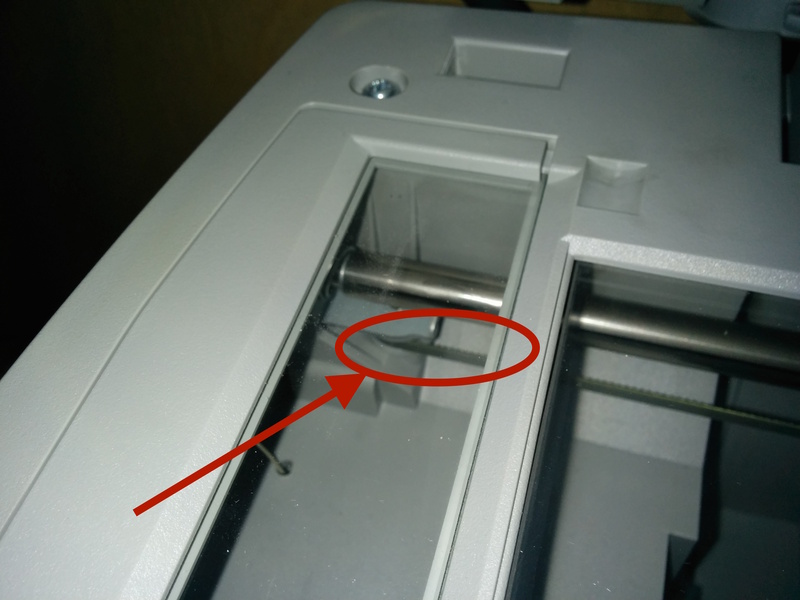 Simple replace the glass plate, screw it back down and re-attach the lid. Power the printer back on, and hopefully now it works! Previous Previous post: “Distributed” ER#7 now available!